Gopalpur in Ganjam(Samaya Bureau): Thousands of dead were seen floating near the Gopalpur port in Ganjam district raising concern among villagers of nearby areas and environmentalists. Same kind of scene was seen last year during the rainy season. 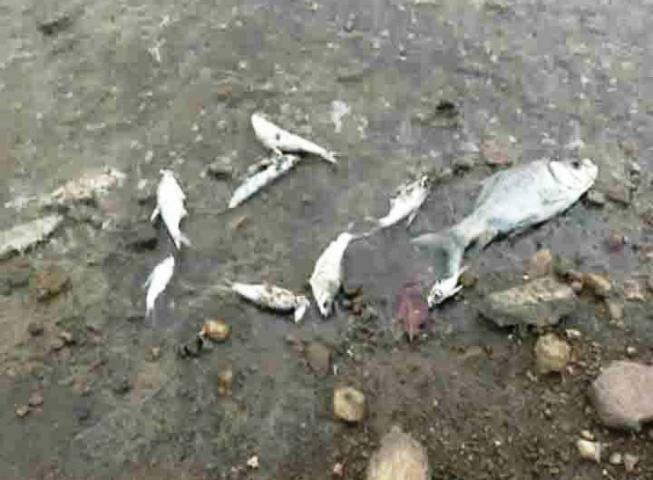 Marine experts were of the view that presence of excessive amount of poisonous chemical substances leading to decrease in oxygen level in water could have caused the death of the fishes. Sharp decrease in the value of dissolved oxygen in water could be reason for the deaths. Similar incident had occurred earlier on August 6, 2016, near the port area and a high-level expert team from Central Marine Fisheries Research Institute (CMFRI) at Puri had visited the spot. The team had collected water samples and inspected the vicinity of the port and the unit of the Indian Rare Earth (IRE) at Matikhala. The team however is yet to to submit its report.